Since its entrance into the 1889 World’s Fair, the Eiffel Tower in Paris, France, has become one of the globe’s most recognizable landmarks. Now, the wrought iron structure and its surrounding area are going to be undergoing a 21st Century makeover aimed at recapturing the imaginations of tourists and locals alike, thanks to building information modeling (BIM) and other technologies. 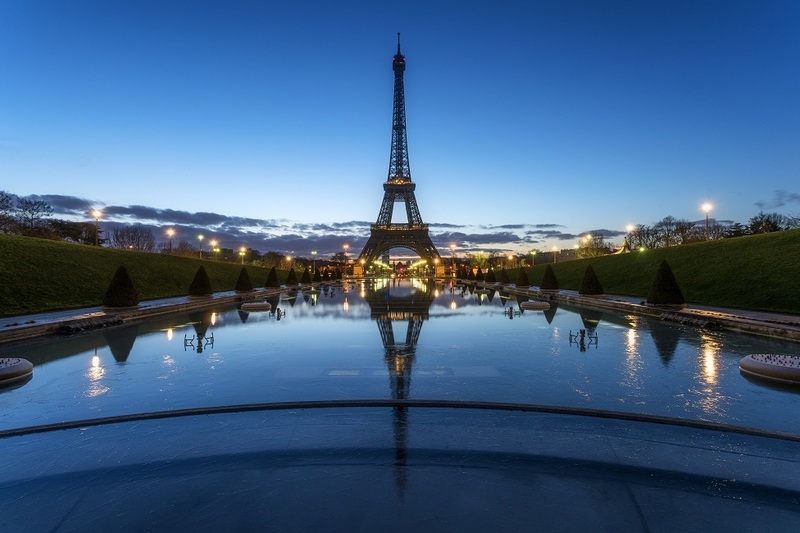 At BIM World 2018, Autodesk announced that it is partnering with the City of Paris to renovate aspects of the Eiffel Tower and the Champ de Mars on which it sits using BIM. To learn more, we spoke to Nicolas Mangon, Autodesk vice president of AEC Strategy & Marketing. Named for Gustave Eiffel, the engineer whose firm designed and built the tower, the Eiffel Tower attracts nearly 7 million visitors who ascend it annually and almost 30 million who take photos from outside the structure, making it the most visited paid monument in the world today. However, Nicolas Mangon, from Autodesk, pointed out that most of these visitors are tourists and not local Parisians. Additionally, Paris is about to host a slew of major events, including the 2024 Summer Olympics, the 2025 Universal Exhibition and the 2026 Rugby World Cup. Altogether, the city is hoping to spruce up the joint before it has company over, while also making changes that may prove crucial in our 21st century environment, wrought as it is by the effects of climate change and blow back from foreign affairs. For this reason, the City of Paris selected Autodesk as its sole technology partner to use BIM in an effort to modify the landmark, in terms of visitor experience, climate resilience, safety and more. In particular, the city aims to renovate the large public green space that stretches from the École Militaire military academy to the RiverSeine. Autodesk has already gotten started laser scanning and modeling the entire area in a BIM environment. The company will provide the 3D model to four world-famous architects, who will then submit their proposals using BIM technology by the first quarter of 2019. One architect will ultimately be selected to execute the renovation design. The City of Paris recognized the need for BIM when Mangon visited with deputy mayor of Paris and the governor of the Paris region about a year ago. “I showed them how they could use BIM to simulate flooding in the city, if, at some point, they need to evacuate the Louvre and save the Mona Lisa if it gets flooded,” Mangon said. The relevance of such simulations became particularly clear when the River Seine burst its banks earlier this week and flooded the city this past January, just 18 months after floods reached record heights in Paris in May 2016. Climate scientists believe that climate change may nearly double the likelihood of extreme flooding in the city, necessitating preemptive measures by Paris officials. Mangon also simulated how closing roads in the city would affect traffic. 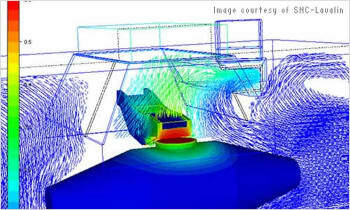 “They were amazed by what BIM can do at the city level,” he said. As the project gets underway, the city also hopes to use simulation to better understand the effects of a possible terror attack, given the tragedy Paris experienced in 2015 and the more recent events that occurred in the South of France just last week. Outside of simulations, BIM is being deployed simply because of the size of the renovation project. There will be a great deal of coordination between different parties, as well as the need to maintain complex schedules and budgets—all of which BIM tools excel at. At the same time, the City of Paris hopes to engage with the public during the design and construction process. For that reason, there will be different forms of visualization, such as augmented and virtual reality, to help communicate with and receive feedback from Parisians about the project. The last major update to the tower occurred in 1986, but the first floor underwent renovations in 2014. The landmark is also repainted in its original grey color every seven years. Some ideas for the newest updates to the Eiffel Tower space include improving the fluidity with which people move around the area, incorporating new elements of urban design, and adding restaurants. What the historic structure and its surrounding area will look like exactly come 2024, however, is yet to be determined.